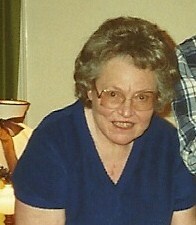 My mother died on December 7, 2006 after a long hard battle with multiple cancers. I’m not convinced any of her cancers are what caused her death and know I will never have the answer to that but I guess it really doesn’t matter. What mattered was that I was there with her holding her, speaking to her softly, stroking her forehead and hair and telling her I loved her. All through her illness she had expressed a fear of dying alone and so I was so very grateful I was with her in the end. She died on Pearl Harbor Day and her best friend’s birthday. As my mother lay dying, I can’t even explain what I felt. I remember just wrapping my arms around her for a moment and laying my head on her chest, thinking to myself that this body I was holding was my mother’s- the person who brought me forth into the world from her womb… and now she was dying. It was really as if a part of me was dying too. For two days after her death, all I felt was a tremendous relief that she was no longer suffering. The busyness of those first few days after her death that were filled with funeral planning and all that goes along with it, notifying relatives and friends, etc., did not leave much time for grieving. 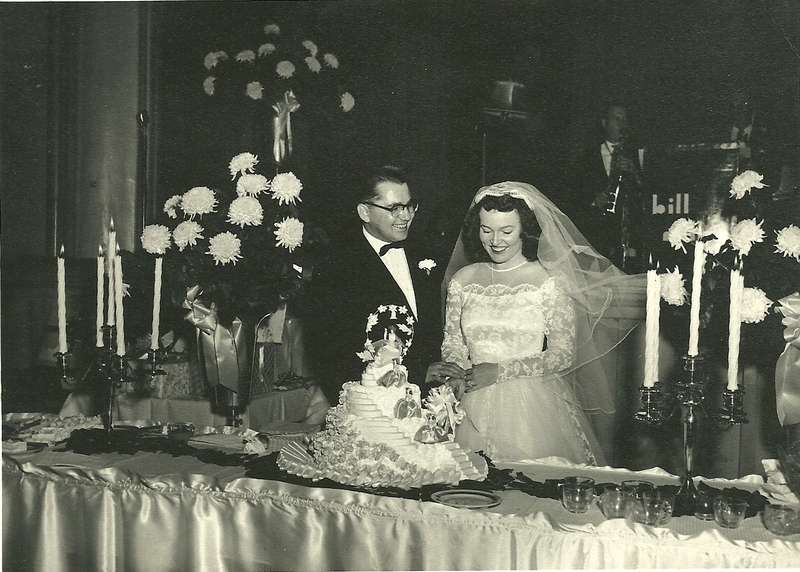 My mother had prearranged her funeral and had already chosen her mausoleum crypt, her casket, etc., so for the most part, everything was already done. We just had to finalize things. The day of her funeral was a beautiful day- in the 70s and bright and sunny (this was early December mind you) and quite a contrast to the morning she died when it was bitterly cold and snowing. Actually, my sisters and I buried both our parents that day. My dad, who had died 12 years earlier, had been cremated and my parents had decided his cremated remains would be placed in the casket with my mother. So that’s what we did. I remember right after the entombment service, our priest coming up to the family and telling us that he knew the Christmas holidays coming up were going to be particularly hard on us, but he wanted us to remember that our mother was going to be having the BEST CHRISTMAS EVER this year. I can’t tell you how very comforting those words were. It was after the funeral when the sadness hit me. I felt a sense of being lost. I had been in such a hypervigilant state for so long while my mother was in the Alive Hospice Residence and I felt the need to “be somewhere.” But there was no longer a need to make the daily drive to the hospice residence. There was no hospital to go to, no doctor visits, no medical tests, no specialists to see. It was all over in a blink of an eye and my body couldn’t seem to accept that. Sleep still didn’t come. For a while, I felt like I was walking around in a fog not knowing what to do with myself. I just had such a strong sense of needing to go somewhere. the death of my mother is something I will never “get over.” But after having experienced it, felt the sadness and sorrow, and worked through the grief, I can now accept it. my mother’s death was a very spiritual experience for me and as strange as this sounds, it was in many ways comparable to the birth of my children. even though my mother’s life ended on this earth, I know her life began somewhere else and she is not alone. I will never stop missing my mother. Period. my mother’s love will NEVER be duplicated or replaced and I wouldn’t want it to be. my mortality seems a lot more real to me now since my mother’s death. sometimes the grief monster re-visits me, especially around the holidays. And I just have to let it. everyone grieves differently. There is no one “right way” to grieve and I need to respect others who may grieve differently than me. 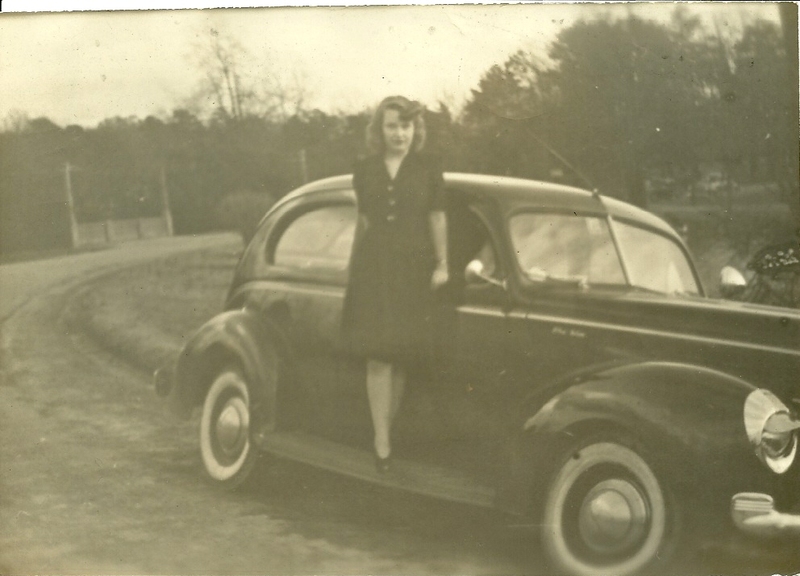 there are questions about my mother’s illness and death that I will never have answers to. Not in this life anyway. grief and mourning (there is a difference) are hard work and both take a great deal of energy and courage to deal with. being an adult orphan stinks. I miss working crossword puzzles with my mother. my faith was strengthened by my mother’s death. I love Dr. Elisabeth Kübler-Ross and her writing. I think she was a very courageous woman to do what she did. caregiving is exhausting work but sometimes it can be filled with immeasurable joy. no one can ever take away the memory of my mother. She lives on in my heart and what a gift that is. my relationship with my mother wasn’t perfect but no relationship is. She was a human being with faults and so am I.
I love reading books my mother loved, but for the life of me, I haven’t been able to read Marley and Me, the very last book she was able to read in its entirety. I just can’t do it and I’m not sure why. wearing a piece of my mother’s clothing or jewelry or cooking with an old pot or pan of hers makes me feel a special closeness to her. there were things about my mother I loved, and things about her I didn’t like so much, but that’s o.k. I know the feeling was mutual. I would give just about anything in this world just to be able to take my mother to the grocery store again. I never looked at my mother as a strong person until I witnessed her in the fight of her life and battling her many cancers. Oh boy, was she ever strong. it’s o.k. to need help with the grieving process and even o.k. to seek professional help if it’s right for you. I will remain forever grateful to the clinical psychologist/psychotherapist who helped me through my mother’s illness and death, and to the hospice grief counselors. They were always there for me and were a godsend. no matter how hard you try or how long you have to “ready yourself,” you are never prepared for the death of a parent. I think hospice is a wonderful thing and a great support when one is dealing with a terminal illness. I don’t have enough kind words to say about them. I still miss some of the hospice nurses and care partners who helped to care for my mother. I missed saying goodbye to some of them. I have a much greater respect for the oncology profession and what they do. I got to know a great deal more about my sisters when we were caregiving together and my love for them grew. sibling relationships can become very complicated when under the stress of caregiving. I think you become closer to your siblings after a parent dies. I’m pretty sure I have my priorities a little “straighter” after having gone through my mother’s illness and death. in my later years I never really thought of my mother as a very patient person. Then I remembered her teaching me how to tie shoelaces when I was 4 (one of my earliest memories). It took me FOREVER to learn to do that and boy, was she ever patient. sometimes I just want to pick up the phone and call my mother just to hear her voice. Not being able to do that hurts so bad. 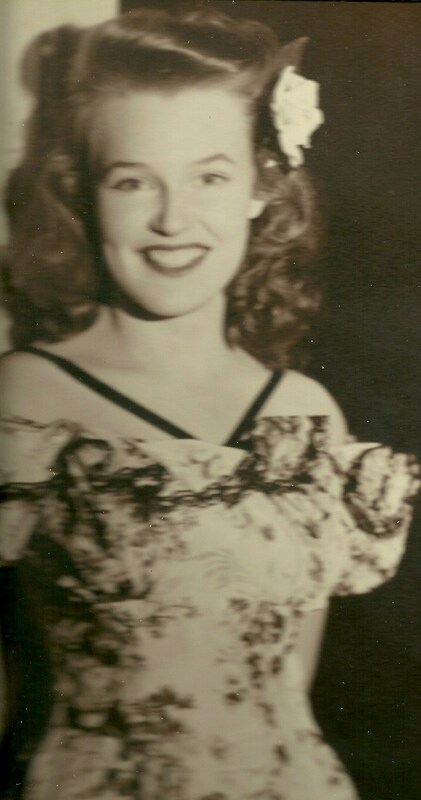 my mother had the most beautiful smile and I will never forget it. It’s one of the things I miss most about her. I wish I would have written down more of my mother’s recipes before she died. Christmas and other holidays will NEVER be the same. Ever. grief can be a very complicated mixture of both joy and sorrow. sometimes you just feel better if you cry. no matter what kind of relationship you had with your parents, you will miss them like crazy when they are gone from your life. I think it was actually Maya Angelou who said this, but believe me, it’s true. I am thankful to God that I was able to have the time to “say goodbye” to my mother. I will never be able to hear “The Old Rugged Cross” again without weeping. It was played at both my parent’s funerals. God works in mysterious ways. When my mother was taking her last breaths, her favorite Christmas song was playing on the radio (“O Holy Night”). That song’s lyrics have a whole new meaning to me now. We also had it played at her funeral. anger and guilt are pretty much a normal part of experiencing a death. life goes on, even though sometimes you don’t want it to. God has special ways of comforting those who are mourning. 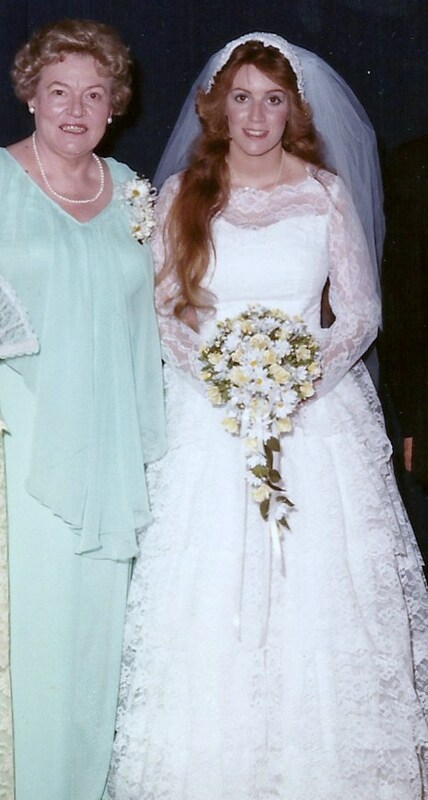 I never realized how much I cherish the lessons and values my mother instilled in me until after she was gone. This entry was posted in Cancer, Death, Memories and tagged Alive Hospice, Cancer, caregiving, Christmas, death, dying, Family, Fear, funeral planning, God, grief, hypervigilance, memories, parents, Stress. Bookmark the permalink. You are welcome Linda. Thank you for reading it. Beautiful. Even though I knew the ending. I agree with you on #4 lesson that you learned. I will never stop missing her. NEVER! Thanks for writing this, my sweet baby sister. Even though some of the parts were very hard to read through. As I said before, God was walking with us and got us through this. Thanks Paula. The parts that were hard for you to read were the parts that were hard for me to write I’m sure. And yes, God was definitely walking this journey with us. Thanks for shring your gift. So poignant yet so very real. Lovely. The words, her, you. The next time we see our moms, they’ll be in their glorified state… I can wait (I have some atoning to do before I go a-travelin’ Home! ), but meanwhile, I try to picture what that means for her. Sweet picturings, every single one of them! I’m sorry you’re still hurting over your mom’s passing. Mine will be gone 21 years in July so the pain is not fresh. Plus, I know she lasted every bit as long as she could. She taught me how to live, and how to die. ((((((((((((((Gail))))))))))) ((((((((((and your siblings)))))))))). I’m so sorry.